Tim explains one reason why the sound /n/ sometimes changes to /m/. Tim's back in his pronunciation workshop. This time he's looking at an aspect of connected speech called assimilation of /n/ followed by /p/. Find out what it is, how to use it, and practise saying it yourself! 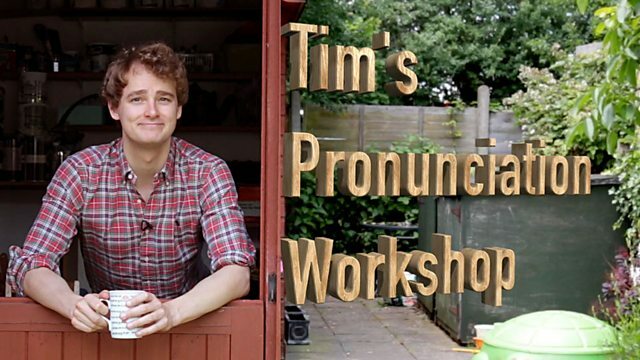 Hi, I'm Tim and this is my pronunciation workshop. Here, I'm gonna show you how English is really spoken. It'll help you become a better listener and a more fluent speaker. Come on, let's go inside. Now, one of the things that happens when we speak fluently is that the sounds at the end of a word can change. To demonstrate this, we asked people on the streets of London to identify this Tube station. Now, the word Green ends in the sound /n/, doesn't it? Or does it? Listen again, what sound can you hear? So, what's happening here? Well, when one word ends in the sound /n/ and the next word begins with a /p/, /b/, /w/ or /m/ sound, then the /n/ from the end of the word changes to an /m/ sound as your mouth gets ready to pronounce the next sound. 'Green Park' becomes 'Greempark'. Watch again - this time in slow motion. Look at the mouth shape. Can you see /n/, or /m/? I own ten pairs of socks. Can you come on Wednesday? Right, so you've heard the examples and now it's your turn. Are you ready? Listen and repeat. Well done. Now if you want to read more about pronunciation please visit our website: bbclearningenglish.com. That's about it from the pronunciation workshop for now. I'll see you next time. Bye bye. 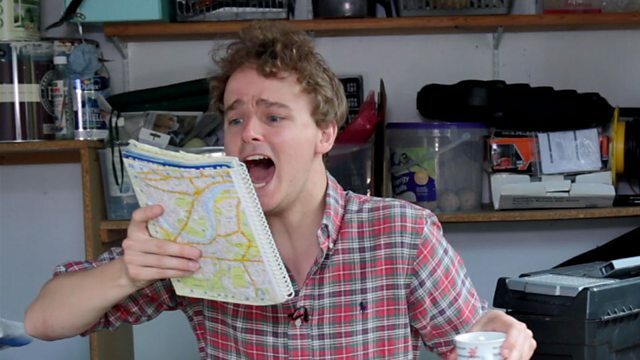 Now, where is Green Park - is it on Buckingham Palace Road? Aaaah! When a word ends in an /n/ sound and the next word begins with a /b/, /p/, /w/ or /m/, the /n/ at the end will change to an /m/ as your mouth gets ready to say the next sound. Can we buy this tin bath? When a word ends in an /n/ sound and the next word begins with a /b/, /p/, /w/ or /m/, the /n/ at the end often changes to an /m/ as your mouth gets ready to say the next sound. I bought fifteen pairs of socks and ten plastic boxes. This van belongs to the company. She's gone with Bob to buy some wooden boxes on Prince Street. The train pulled into the station at about ten past two. The man buying corn wants ten bags. We hope that was useful. In Unit 9, Sian brings you another English Masterclass - in this one, she'll be explaining how some verbs change their meaning depending on whether they are in the -ing or -ed form. In News Review and LingoHack you can find out which words are making the headlines - and Tim will be back with the pronunciation workshop as usual. See you there! When fluent speakers of English say a word that ends in the sound /n/, followed by a word that begins with a /p/, /b/, /w/ or /m/ sound, the /n/ often changes to an /m/ as the mouth gets ready to pronounce the next sound.